Tomelleri E., Hammerle A., Wohlfahrt G. (2019) The imprint of urbanization on plant phenology. EGU2019-8596, European Geophysical Union General Assembly 7-12 April 2019, Wien, Austria. Jud W., Hansel A., Wohlfahrt G., Tissier A. (2014) Nicotiana tabacum as model for ozone-plant surface reactions. Gordon Research Conference on Biogenic Hydrocarbons and the Atmosphere, Girona, Spain, 29th June-4th July 2014. Jasoni R., Arnone J., Fenstermaker L., Wohlfahrt G. (2014) Stimulation of Mojave Desert net ecosystem CO2 uptake after winter precipitation with the opposite effect after summer rains based on 7 years of flux data. EGU2014-12851, European Geophysical Union 2014 General Assembly, 27 April – 2 May 2014, Vienna, Austria. Pierce A., Obrist D., Moore C., Wohlfahrt G., Moosmüller H. (2013) Atmospheric mercury concentration measurements and eddy covariance flux measurements using cavity ring-down spectroscopy. The 11th International Conference on Mercury as a Global Pollutant, 28 July-2 August, 2013, Edinburgh, UK. Wohlfahrt G., Gobiet, A. Hammerle A., Haslwanter A., Hörtnagl L., Irschick C., Themeßl M. (2012) Off-season carbon dioxide exchange of a temperate mountain grassland in a warmer future climate. 13. Österreichischer Klimatag, 14-15 June 2012, Vienna, Austria. Merbold L.M., Wohlfahrt G. (2012) Greenhouse gas emissions from grasslands: current knowledge and challenges. EGU2012-7140, European Geophysical Union 2011 General Assembly, 22–27 April 2012, Vienna, Austria. Wohlfahrt G. (2012) Off-season carbon dioxide exchange of a temperate mountain grassland in a warmer future climate. Pan European Phenology (PEP725) Symposium on New Developments in Phenology, 26 April 2012, Vienna, Austria. 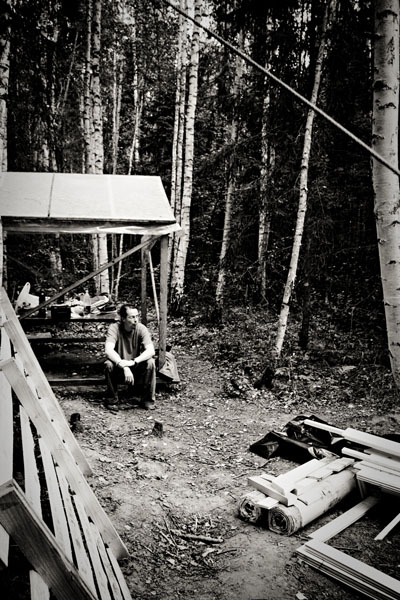 Wohlfahrt G., Hammerle A., Bamberger I., Hansel A., Haslwanter A., Hörtnagl L. (2011) Breathing of the Biosphere. 12. Klimatag, 21-22 September 2011, Vienna. Irschick C., Carli E., Eliskases C., Frischmann S., Fritsch U., Gobiet A., Haas H., Kapelari S., Norz J., Themeßl M., Zebisch M., Wohlfahrt G. (2011) GrassClim – Interaktive Effekte von Klimawandel und Bewirtschaftung auf den Ertrag und die Kohlendioxidsenken/quellenstärke von Grünland. SparklingScience Tagung 2011. Wohlfahrt G., Hörtnagl L., Hammerle A., Haslwanter A., Hansel A., Loreto F., Brilli Federico (2011) Leaf and ecosystem response of mountain grassland gas exchange to drought. EGU2011-1317, European Geophysical Union 2011 General Assembly, 4-8 May 2011, Vienna, Austria. Ruuskanen T.M., Müller M., Schnitzhofer R, Karl T., Graus M., Bamberger I., Hörtnagl L., Brilli F., Wohlfahrt G., Hansel A. (2010) VOC Emission and Deposition Eddy Covariance Fluxes above Grassland using PTR-TOF. A53C-0219, AGU fall meeting, 13-17 December 2010, San Francisco, CA/USA. Wohlfahrt G., Hammerle A., Hörtnagl L., Irschick C., Haslwanter A. 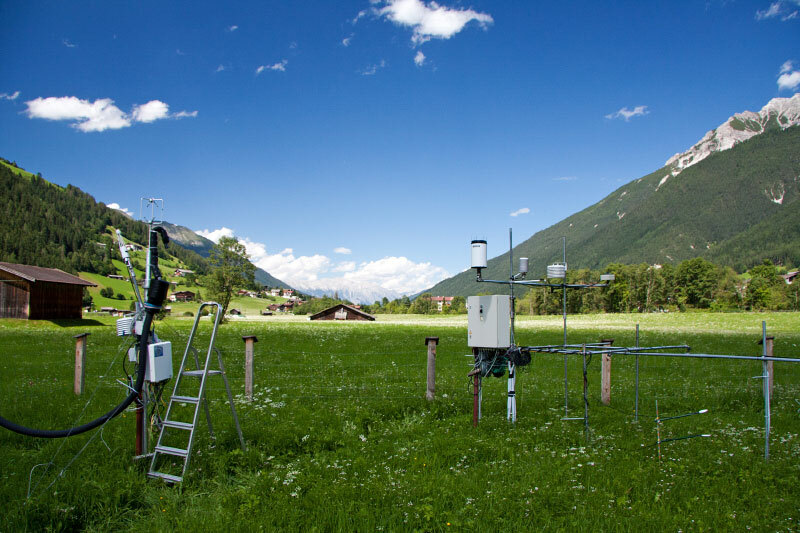 (2010) Trace gas fluxes from/to grassland: A decade of micrometeorological research at a hay meadow in the Stubai Valley/Austria. Invited oral presentation, 11 October 2010, ETH Zürich, Switzerland. Wohlfahrt G., Irschick C., Thalinger B., Hörtnagl L., Obojes N., Hammerle A. (2010) Multiple constraints on grassland evapotranspiration: implications for closing the energy balance. EGU2010-4210, European Geophysical Union 2010 General Assembly, 2–7 May 2010, Vienna, Austria. Noe S., Kimmel V., Jogiste K., Niinemets Ü., Wohlfahrt G. (2009) Ecosystem scale biosphere-atmosphere interactions of a hemiboreal mixed forest stand at Järvselja, Estonia. International workshop on Environmental Stress and Forest Ecosystem, 17-18 November 2009, Tallin, Estonia. Wohlfahrt G., Irschick C., Haslwanter A., Hammerle A. 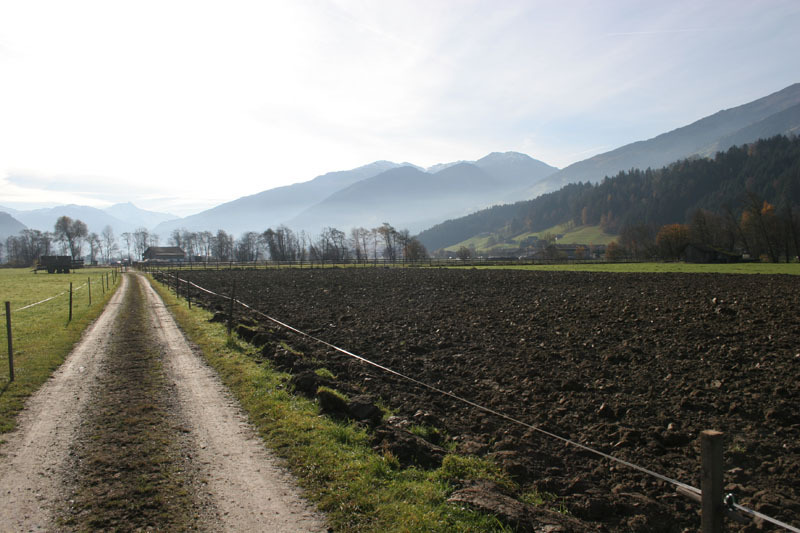 (2009) Regional variability of CO2, H2O and energy fluxes: a grassland case study in Tyrol/Austria. Transregional Collaborative Research Centre 32 International workshop, 8-10 June 2009, Aachen, Germany. 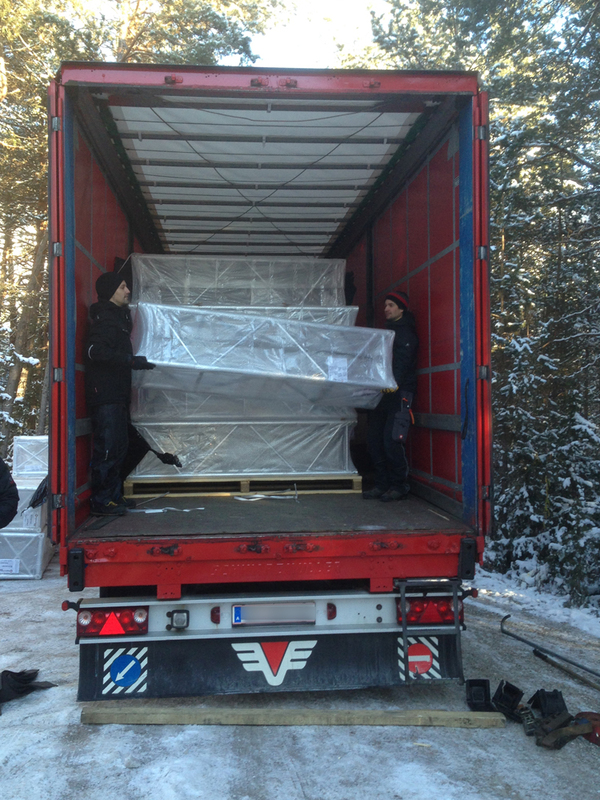 Arnone J.A., Jasoni R.L., Larsen J.D., Fenstermaker L.F., Wohlfahrt G. and the DRI ET Team. Evapotranspiration from lowland native shrubland ecosystems in Nevada’s (USA) eastern Great Basin and its relationship to remotely sensed measures of vegetation. EGU2009-10643, European Geophysical Union 2009 General Assembly, 19–24 April 2009, Vienna, Austria. Stoy P.C., Richardson A.D., Baldocchi D.D., Katul G.G., Mahecha M.D.., Reichstein M., Law B.E., Montagnani L., Wohlfahrt G., Williams M. (2009) Biosphere-atmosphere exchange of carbon dioxide in relation to climate: a cross-biome analysis at multiple time-scales. EGU2009-5504, European Geophysical Union 2009 General Assembly, 19–24 April 2009, Vienna, Austria. Arnone J., Wohlfahrt G., Fenstermaker L., Jasoni R., Larsen J. (2009) Is the Mojave desert a carbon sink ? Association of American Geographers Annual Meeting, 22-27 March 2009, Las Vegas, NV/USA. Fenstermaker L., Arnone J., Wohlfahrt G., Smith S., Newingham B., Jasoni R. (2009) Carbon sequestration and climate change in the Mojave Desert. Climate change and the Californian desert Conference, 27 February 2009, Joshua Tree, CA/USA. Hammerle A., Williams M., Wohlfahrt G. (2008) Carbon storage potential of a temperate mountain grassland as affected by management: a combined experimental and modelling analysis. Invited oral presentation, 26 September, Edinburgh, UK. Hammerle A., Wohlfahrt G.(2008) On using broad­band vegetation indices to infer the net ecosystem CO2 exchange or Is the saturation problem a problem for CO2 fluxes ? SpecNet Europe Meeting, 30 June­2 July 2008, Trento, Italy. 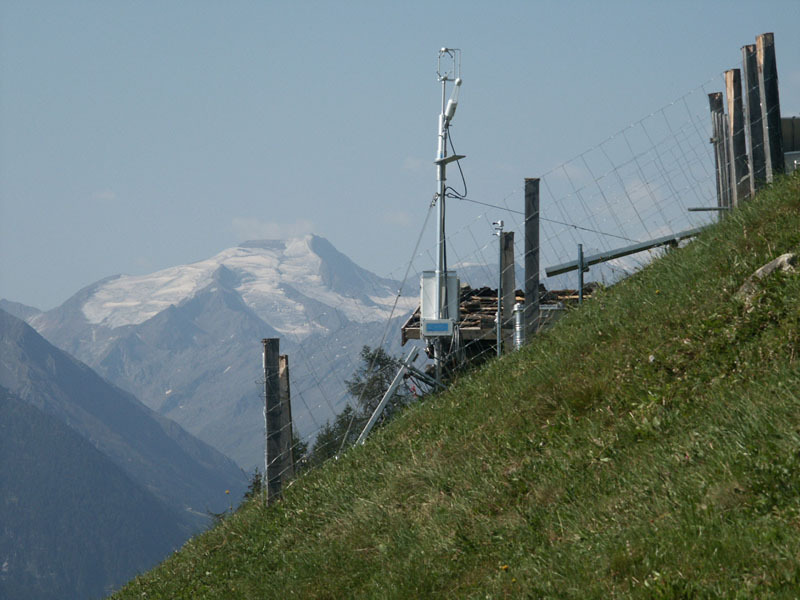 Haslwanter A., Hammerle A., Wohlfahrt G. (2008) Open- vs. closed-path eddy covariance measurements of the net ecosystem carbon dioxide and water vapour exchange: a long-term perspective. EGU2008-A-01151, European Geophysical Union 2008 General Assembly, 13–18 April 2008, Vienna, Austria. Wohlfahrt G., Fenstermaker L., Arnone J. (2008) Large Annual Net Ecosystem CO2 Uptake of a Mojave Desert Ecosystem. EGU2008-A-01414, European Geophysical Union 2008 General Assembly, 13–18 April 2008, Vienna, Austria. Hammerle A., Bahn M., Tappeiner U., Cernusca A., Wohlfahrt G. (2008) Carbon storage potential of a temperate mountain grassland as affected by management: a combined experimental and modeling analysis. EGU2008-A-01149, European Geophysical Union 2008 General Assembly, 13–18 April 2008, Vienna, Austria. Wohlfahrt G., Hammerle A., Haslwanter A., Bahn M., Tappeiner U., Cernusca A. (2008) Die Auswirkungen von Wetter und Bewirtschaftung auf die saisonale und inter-anuelle Variabilität des Nettoökosystemkohlendioxidaustschs einer Mähwiese. 10.Österreichischer Klimatag, 13-14 March 2008, Vienna, Austria. Wohlfahrt G., Arnone J. (2007) Large Annual Net Ecosystem CO2 Uptake of a Mojave Desert Ecosystem. EGU2007-A-01266, European Geophysical Union 2007 General Assembly, 15–20 April 2007, Vienna, Austria. Wohlfahrt G., Hammerle A., Haslwanter A., Bahn M., Tappeiner U., Cernusca A. (2007) Carbon Balance Tradeoffs for Mountain Grasslands: Influence of Cutting Frequency and Growing Season Length on the Net Ecosystem CO2 Exchange. EGU2007-A-01268, European Geophysical Union 2007 General Assembly, 15–20 April 2007, Vienna, Austria. Hammerle A., Haslwanter A., Tappeiner U., Cernusca A., Wohlfahrt G. (2007) Energy Partitioning of a Mountain Meadow: Controls, seasonal and inter-annual Variability. EGU2007-A-01942, European Geophysical Union 2007 General Assembly, 15–20 April 2007, Vienna, Austria. Wohlfahrt G., Hammerle A., Haslwanter A., Bahn M., Tappeiner U., Cernusca A. (2006) Opposing influence of land use and altitude on the net ecosystem CO2 exchange of two mountain grasslands. 91st Ecological Society of America Annual Meeting, 6-11 August 2006, Memphis, USA. Wohlfahrt G. and other CARBOMONT participants (2006) Biotic, abiotic and anthropogenic controls on the net ecosystem CO2 exchange of European mountain grasslands. EGU06-A-03025, European Geophysical Union 2006 General Assembly, 02–07 April 2006, Vienna, Austria. Wohlfahrt G., Hammerle A., Haslwanter A., Bahn M., Cernusca A., Tappeiner U. (2006) Die Kohlendioxid-Senken/Quellenstärke Alpiner Graslandökosysteme und deren Beeinflussung durch Bewirtschaftungsmaßnahmen. 9.Österreichischer Klimatag, 16-17 March 2006, Vienna, Austria. Bahn M., Michaeler W., Mildner B., Bianchi K., Wohlfahrt G., Cernusca A. (2003) Plant photosynthetic light and nitrogen use in differently managed and abandoned European mountain grasslands. The 4th Conference on Biochemistry, Ecophysiology and Population Biology of Alpine and Polar Plants, 9 July 2003, Trins, Austria. Wohlfahrt G., Bahn M., Newesely Ch., Sapinsky S., Tappeiner U., Cernusca A. (2001) Canopy structure versus physiology effects on net photosynthesis of mountain grasslands differing in land use. 3rd European Ecological Modelling Conference, 10-15 September 2001, Dubrovnik, Croatia. Wohlfahrt G., Bahn M., Newesely Ch., Sapinsky S., Tappeiner U., Cernusca A. (2001) Canopy structure versus physiology effects on net photosynthesis of mountain grasslands differing in land use. 86th Annual meeting of the Ecological Society of America, 5-10 August 2001, Madison, USA. Wohlfahrt G., Bahn M., Newesely Ch., Sapinsky S., Tappeiner U., Cernusca A. (2001) Canopy structure versus physiology effects on net photosynthesis of mountain grasslands differing in land use. 44th IAVS Symposium, 29 July-4 August 2001, Freising-Weinstephan, Germany. Wohlfahrt G., Bahn M., Tappeiner U., Cernusca A. (1999) A model of whole plant gas exchange and its application to herbaceous plant species from differently managed mountain grassland ecosystems. Annual meeting of the North American Chapter of the ISEM, 7-12 August 1999, Spokane, USA. Wohlfahrt G., Horak I., Bahn M., Tappeiner U., Cernusca A. (1997) Modelling carbon dioxide and water vapour gas exchange in context with land-use changes. Leaf model parameterisation. 1st European Ecological Modelling Conference, 16-19 September 1997, Pula, Croatia.